Born in 1912, the son of a Potsdam boatyard owner, he would become a DKW dealer in Berlin at an early age and had already competed in the 2000 km Tour of Germany with the DKW sidecar team. 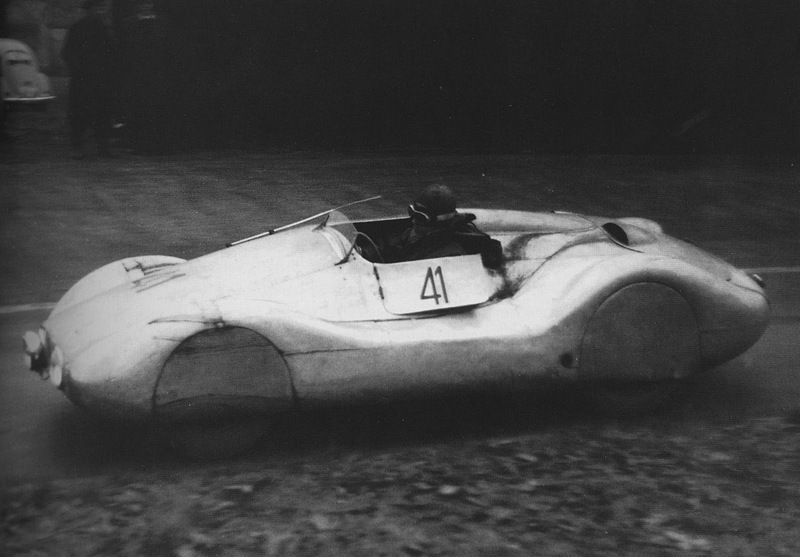 In 1938 he joined the Auto Union factory team and won the Monte-Carlo Rallye aboard a 1000cc DKW. 1939 he would finish second in the Monte-Carlo Rallye and enter the Liége-Rome-Liége where he would finish third driving a 2 liter Wanderer. The outbreak of war would put an end to his racing career, it would be a further 7 years before he would again follow his pasion. The war ended and Petermax Müller settled in Velpke, near Braunschweig, where he had already made some valuable connections before the outbreak of war. His thoughts again turned to racing, in post war Germany food was scarce and the Wolfsburg factory was only working on standard manufacturing. As Müller knew where he could obtain food supplies he used his ingenuity to trade food for work by the Wolfsburg engineers on his engines. It was at this time he would meet an engineer named Vogelsang. He was a brilliant engineer with a passion for motorsport, so when Müller and Huscke von Hanstein arrived at his door with food supplies, he was only too happy to offer his services. The rest is history, the Vogelsang engine that runs in the Petermax Müller VW Special was born. Late 1946 early 1947 Müller set up his workshop in a deserted Diary barn, with the help of a bodywork man he had brought with him from Berlin, they built their first streamlined open aluminum sports car based on a Kübelwagen chassis with front suspension from a Schwimmwagen. A further five cars would be produced all being slightly different, they would use a shortened Beetle chassis. 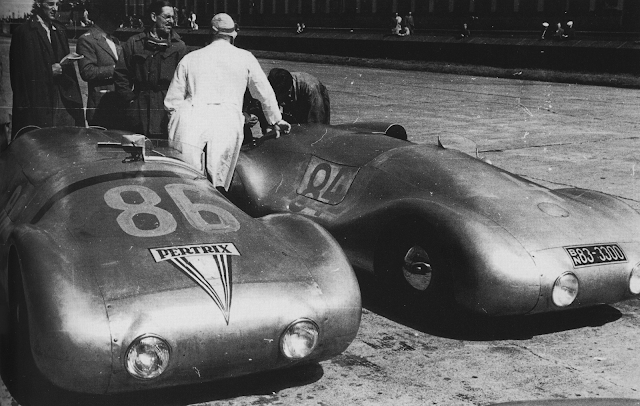 In 1947 Petermax Müller and Kurt Kuhnke would finish 2nd and 3rd in the Müller built VW Specials at the Hamburg city races in the 1100cc class, it was the first of many successful outings. 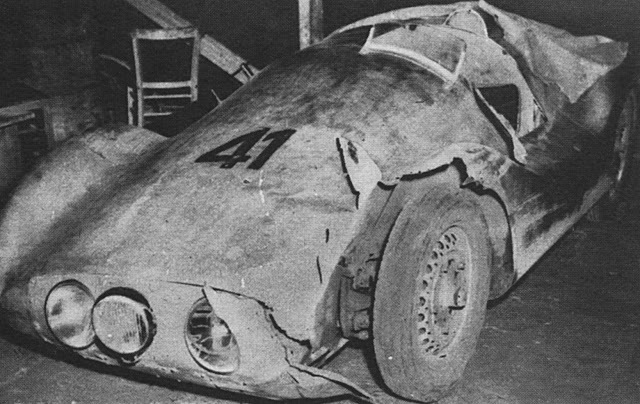 In 1948 and 1949 Petermax Müller was crowned German champion in the 1100cc sports car class and by 1951 he had won 60 races. In 1949 and 1950 the Müller racing team gained a wealthy sponsor in the form of the Pertrix (Varta) battery manufacturer. At this time there was no official VW or Porsche factory race teams, so it was left to the Pertrix team and other VW based specials to push the racing envelope. 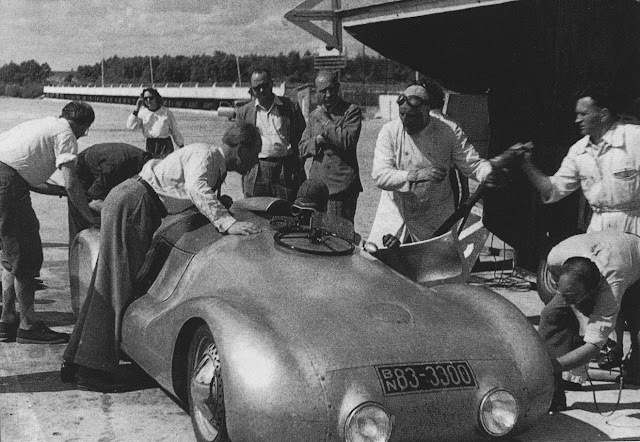 1949 the team of Müller, Polensky, von Hanstein and Schweder set out on their goal to establish national and International nonstop records using the 1086cc engine. The proceedings would be brought to and end after 34 hours due to an accident, but they had broken a total of 17 national time and distance records. 1950 not satisfied with the previous years records the team of Müller, Polensky, von Hanstein and Glöckler descended on the Montlhéry motodrome near Paris. Again running the 1086cc motor they covered more than 10,000 kms in 48 hours, in the process breaking 8 existing world records, certified by a racing commision they made the headlines in the papers across Europe. Petermax Müller would go on to compete in many more races Including the Monte-Carlo Rallye, driving a Split Window Beetle.